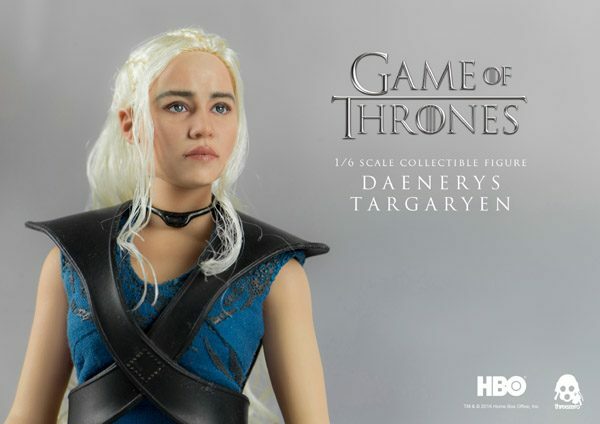 We been working on Daenerys Targaryen collectible for a good while and finally really to share all the info with you! 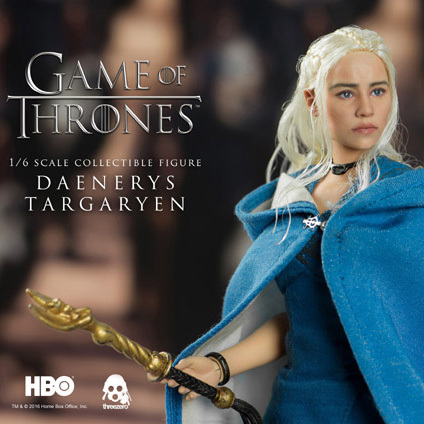 As you guessed by our latest teasers: Daenerys continues our line of Game of Thrones collectibles. 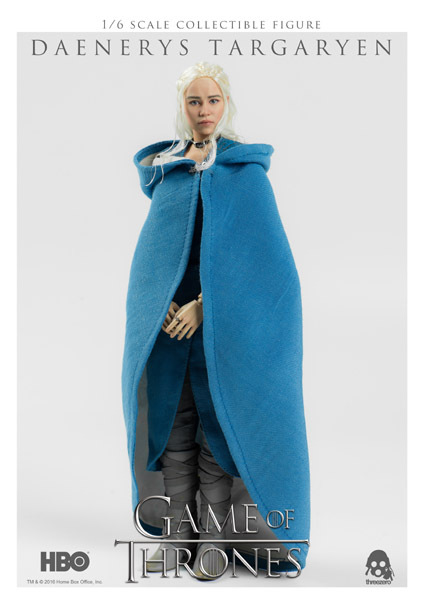 This 1/6th scale collectible, stands approximately 10.2 inches (~26cm) tall and features highly-accurate realistic likeness to the character’s appearance in the critically acclaimed television series, platinum blonde rooted hair, soft PVC dermis on the arms and torso. 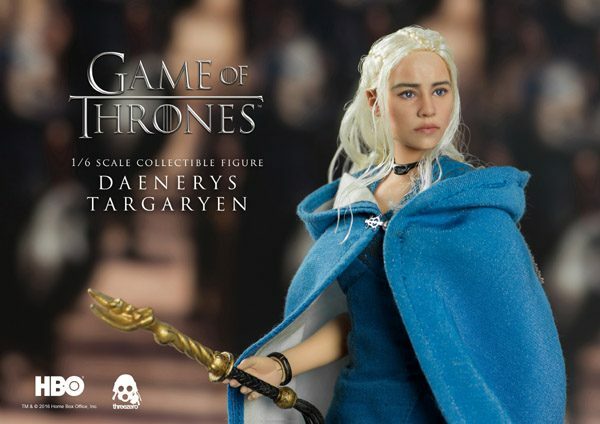 Daenerys comes with multiple exchangeable hands, highly detailed clothing (featuring: Cloak, Tunic, Pants, Vest and Neckwear); Kraznys’ Whip and extremely detailed resin Drogon Figure (L 9cm, W 18cm). 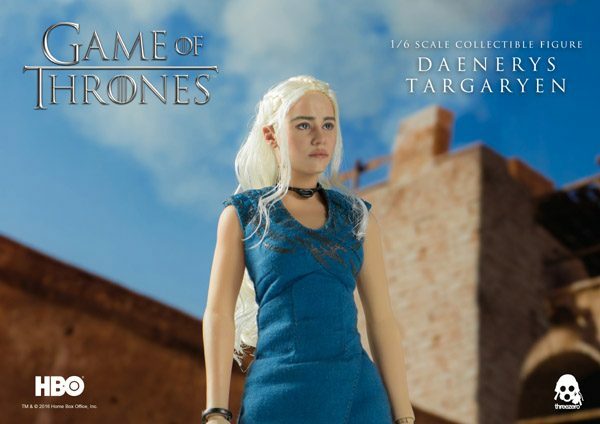 Daenerys Targaryen collectible figure will be offered for pre-order at www.threezerostore.com for a limited time starting from now! 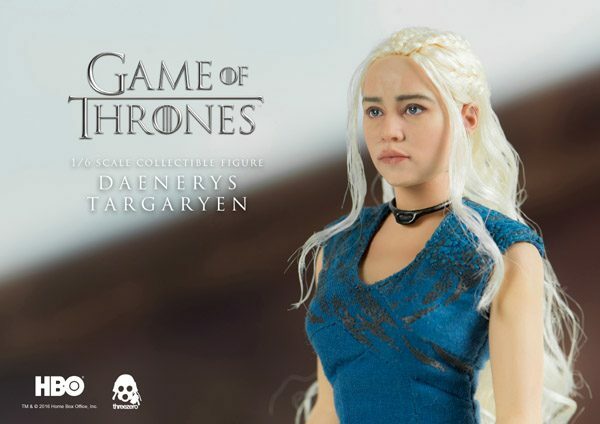 Daenerys Targaryen available at www.threezerostore.com for 168USD / 1310HKD with Worldwide shipping included in the price. 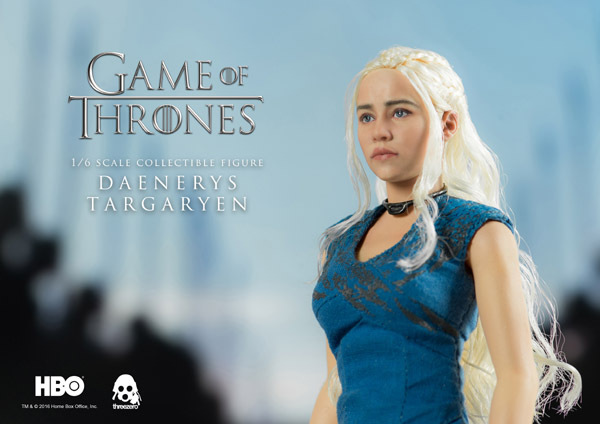 As part of special Threezero Store Exclusive offer: we have Threezero Store Exclusive version, featuring Rhaegal (L 9cm, W 9cm) and Viserion (L 9cm, W 9cm) figures in addition to Drogon and one perch for the Dragons. 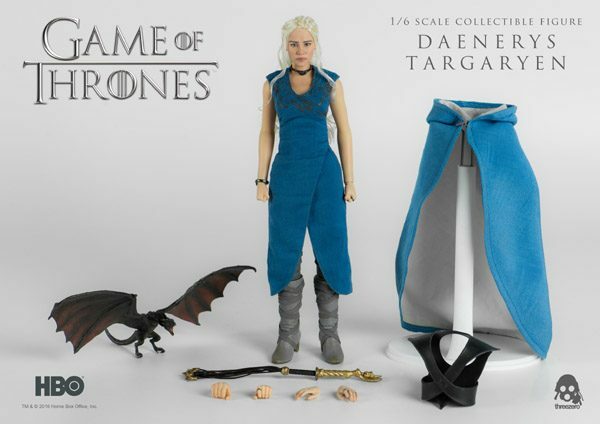 This Exclusive Pack is available for pre-order for 180USD / 1400HKD with Worldwide shipping included in the price. 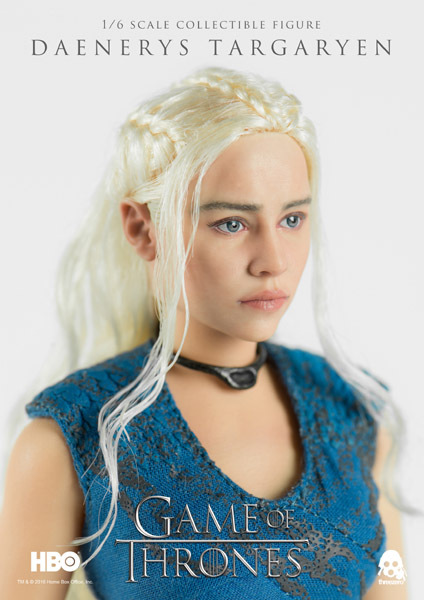 -Extremely detailed resin Drogon figure (L 9cm, W 18cm).